For adventure-seeking animal lovers, a traditional wedding just won’t do. 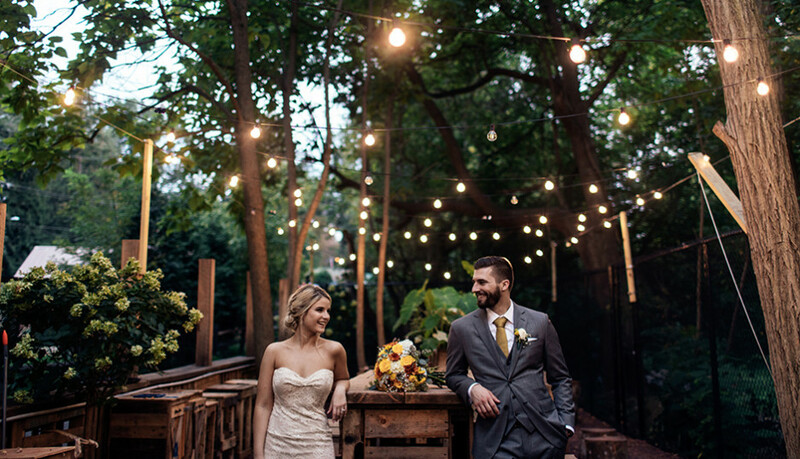 Ditch the same tired venues and pick the perfect place to tie the knot: the zoo! 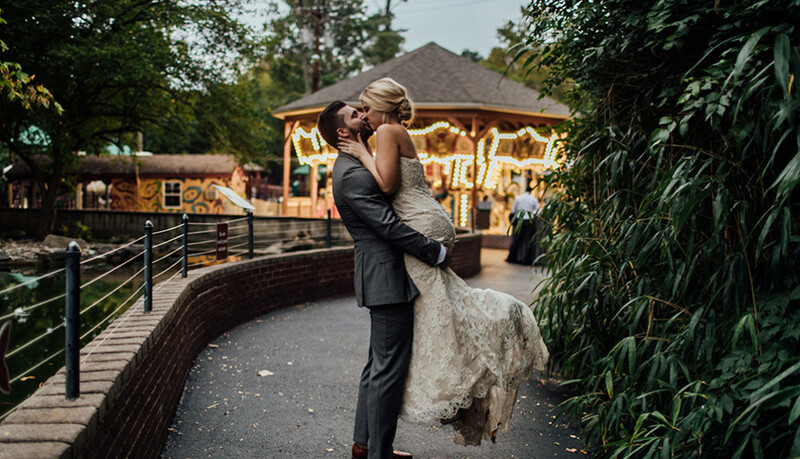 Here are five reasons to plan your dream wedding at the Elmwood Park Zoo. You’ll have the most unique wedding since…well, ever. Feeding bison and watching jaguar cubs cuddle at cocktail hour isn’t exactly par for the course this wedding season. Spend your big day with big cats and set yourself apart from the pack. 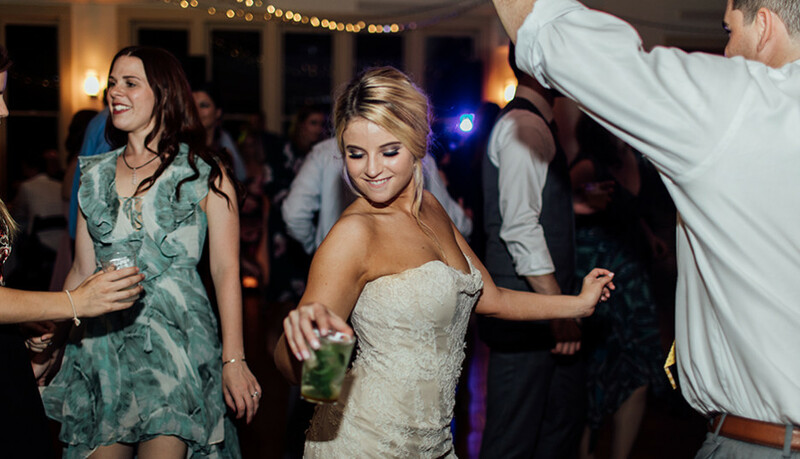 Choosing a zoo venue will guarantee an unforgettable affair for your friends and family, and officially set the bar impossibly high for all couples coming after you. Not that your wedding is a competition… but if it was, you’d be winning. There’s a gorgeous event space for every taste. Looking for a classic and elegant aesthetic? Canopy Gardens is the premier indoor event space for up to 150 guests with a dance floor, room for catering services, a full stone accent wall and wood-accented flooring and ceilings. 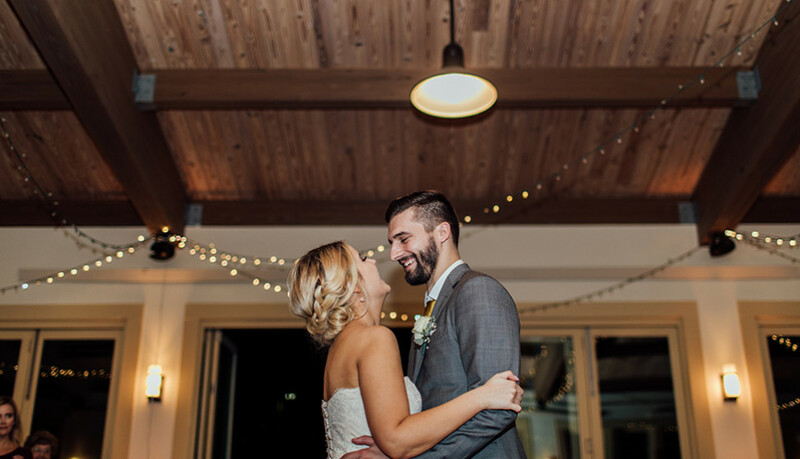 The elegant lodge is climate-controlled, featuring fully retractable, floor-to-ceiling window doors along the garden side of the pavilion that can give warm weather weddings open access to the adjacent patio and garden area. Set on a spring or summer date? Olivia’s Eagle Canyon Observation Deck is ideal for outdoor ceremonies, complete with a bald eagle exhibit backdrop. Elmwood Park offers nine incredible spaces for your ceremony, cocktails and reception area. If you can’t make up your mind, don’t worry; you can rent the entire zoo just for you! You can take advantage of amazing photo opportunities. When else in your life could you get photo bombed by a giraffe? Your wedding album will come complete with amazing animals, from feedings to background encounters. 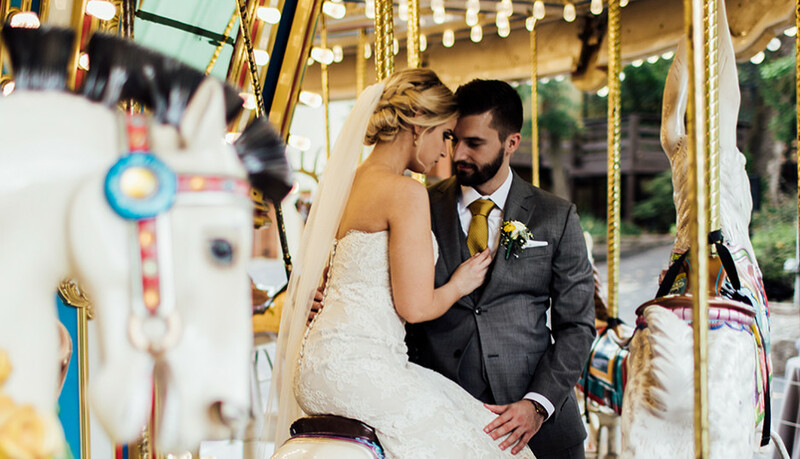 Plus, don’t forget posed photos at the charmingly rustic red barn, safari-chic exhibits and romantic antique carousel. 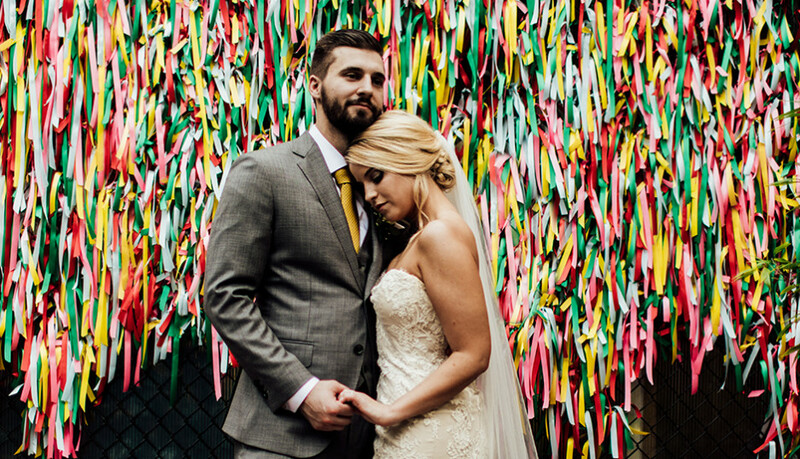 You’ll have no shortage of stunning shots to remember the most important day of your life. Let’s face it – weddings are expensive. You don’t need to break the bank to celebrate your love, but it’s important to know costs up front. Elmwood Park Zoo’s wedding packages are all-inclusive with no hidden costs or undisclosed fees. In addition, the zoo is offering specials for brides and grooms getting hitched in 2018. Get in on a good deal now! Booking your wedding at Elmwood Park Zoo doesn’t just benefit you and your guests. You’d be helping support a nonprofit organization dedicated to preserving wildlife and natural resources, with a focus on teaching others how to prevent species extinction and resource depletion through animal management programs, conservation projects and endangered animal education. 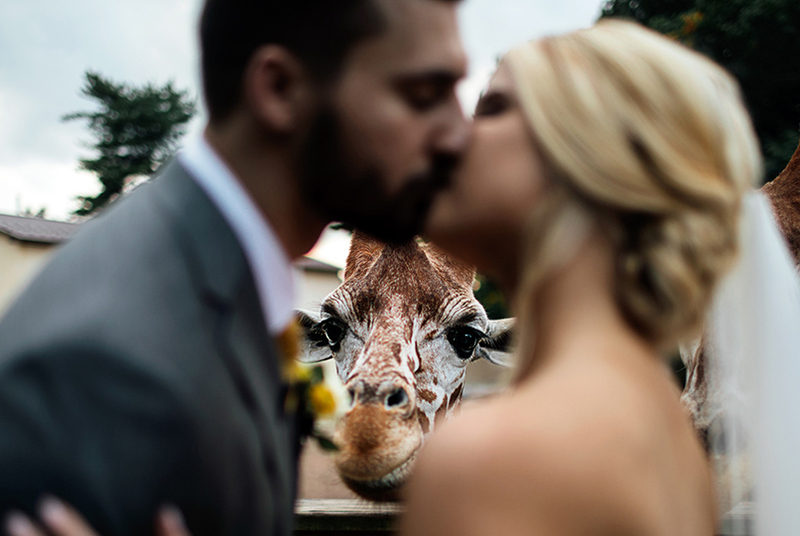 Donating your awesome wedding to save the lives of zoo animals? Wow, how selfless of you! Don’t just take our word for it. 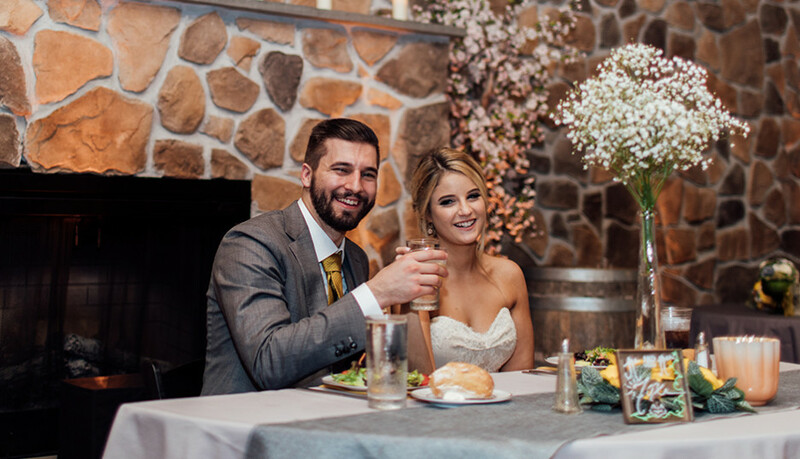 Schedule a tour and see for yourself why Elmwood Park Zoo is the ideal location for your wild wedding day. For more information, visit epzevents.com.